Product categories of Ceramic Shaft, we are specialized manufacturers from China, Ceramic Shaft, Ceramic Motor Shaft suppliers/factory, wholesale high-quality products of Ceramic Rotating Shaft R & D and manufacturing, we have the perfect after-sales service and technical support. Look forward to your cooperation! 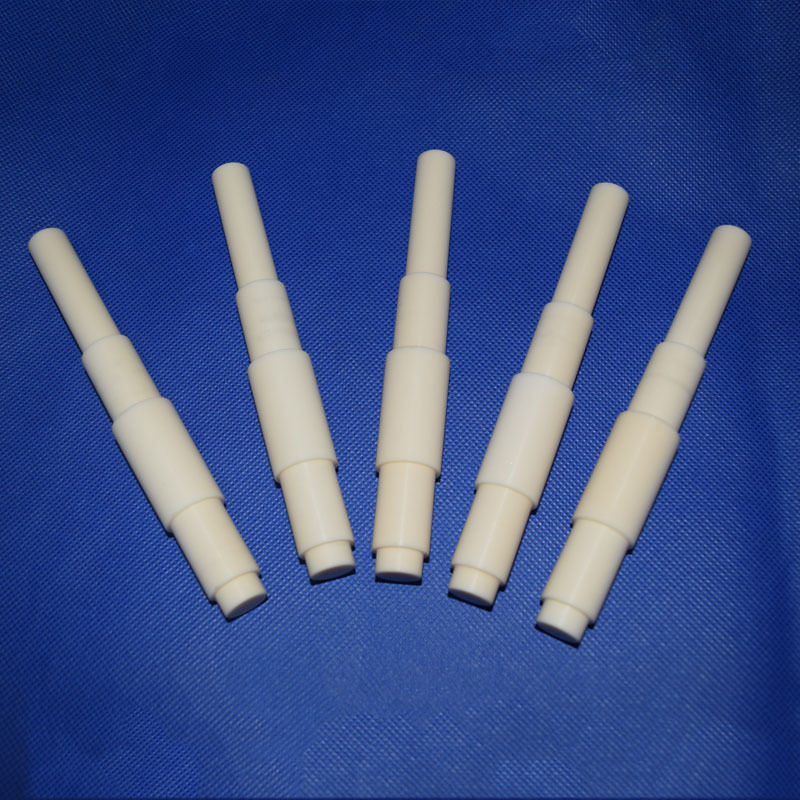 The general material of the Ceramic Shaft is zirconia or 99% alumina, it has the characteristics of light weight, good electrical insulation properties, thermal expansion coefficient, non-magnetic, electrically conductive, high speed, low noise, high temperature resistance, abrasion resistance, resistance to acid, alkali and salt corrosion, non-toxic, high temperature stable size etc.. The performance when work in the lubrication bad condition dry running is excellent, can be widely used in the field of aviation, aerospace, marine, automotive, machine tools, petroleum, chemical, electric power, metallurgy, textile, medicine, scientific research and military technology, is a new material of high-tech products. The Zirconia Ceramic Shaft produced by our company is processed by cold isostatic pressing technology. After precise grinding, it can meet the special needs of customers in accuracy and density., the density is more than 6.0g/cm3, can through the siphon test, and resistance to fall , we are on in a leading position in the toughness and dimensional tolerances, the tolerance can reach +/-0.001mm. it has excellent insulation performance, thermal expansion coefficient close to steel, so the ceramic shaft is gradually replacing the traditional metal shaft. Different shapes of ceramic shafts can be customized according to your needs, and we can also provide technical advisory support for you.